Sign and return one copy to the school; keep a copy for your records. If you have one, bring your club affliated shirt to wear for pictures. As most of you realize, the school year will quickly fly by now that it's February. You may not believe this, but progress reports go out this Thursday, and exams are in three short weeks. Please ensure your child understands the importance of working diligently in class each day. Each of us here at SBM wants your child's grades to be a true reflection of their knowledge and effort; help them get the grades they really want! Also around the corner is state testing. The dates set for that are April 4th - 12th. Please make sure your eagle comes to school each day well rested and ready to do his or her best on the state test. The state department of education places a high amount of importance on these tests, and ultimately, SBM is graded based on the students' performance, so we want to make sure our kids feel ready to give it their all! More information and specific details about testing will be given to your kids soon, so ask them about it. You can also expect them to come home soon talking about their testing goals in each subject. If you have any questions about the state test, call us, and we'll get you the information you need! 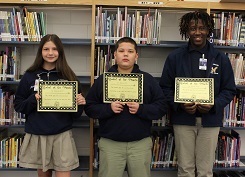 SBM is proud to announce its March Students of the Month. Congratulations to 6th grader, Claire LeBoeuf; 7th grader, Joshua Snyder; and 8th grader, Willard Gabriel. SBM is proud to announce its February 2018 - 2019 Students of the Month. 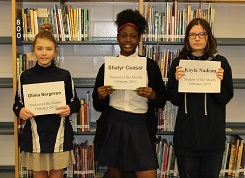 Congratulations to 6th grader, Olivia Bergeron; 7th grader, Shalyr Ceaser; and 8th grader, Kayla Nadeau. 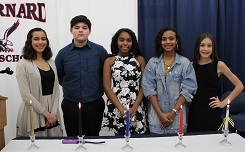 Officers were recently inducted into the Jr. Beta Club at SBM. Congratulations to Elena Ozuna, Class Representative; Coby Barrow, Treasurer; Sheyla Cabrera, Secretary; Jerzie Douglas, Vice-President; and Alyza Alfonso, President. Students and grandparents enjoyed one another's company as they shared a delicious breakfast together. SBM graciously opened its doors to grandparents as faculty and staff recognize the integral part they play in students' lives. Moms and Muffins was a huge success as Moms and their children gathered together at the Eagle Bistro to enjoy one another's company as well as muffins, coffee, and juice. 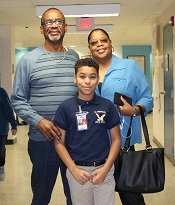 St. Bernard Middle prides itself on parental involvement with the hopes of bridging the gap between parents, teachers, and administrators. 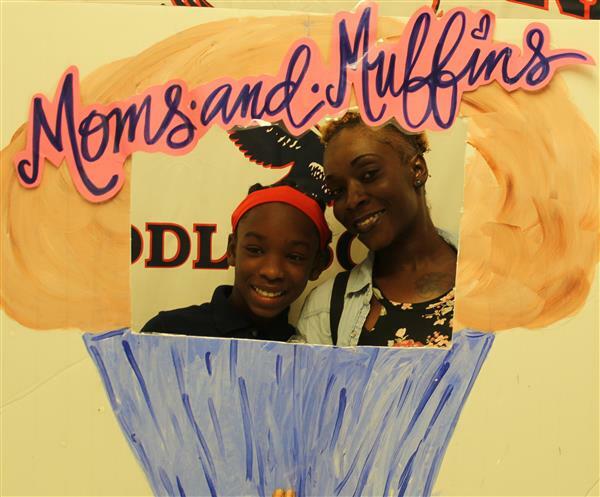 SBM recently held its annual event known as Dads and Donuts. 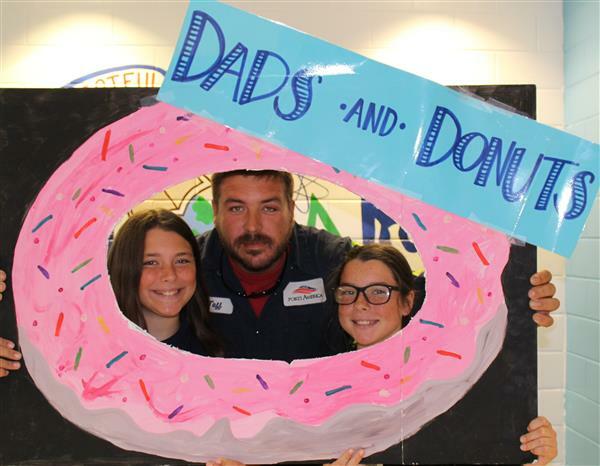 All Dads were invited to enjoy donuts and coffee with their students while getting to meet and greet faculty and staff at St. Bernard Middle.